Backhome Kuala Lumpur is a boutique backpacker's hostel located right in the heart of Kuala Lumpur's financial and historic district.We have converted a row of colonial-era shop houses into creative, contemporary spaces with an emphasis on natural materials, light and life.What makes us so popular?We know what it's like to travel on a shoestring budget. 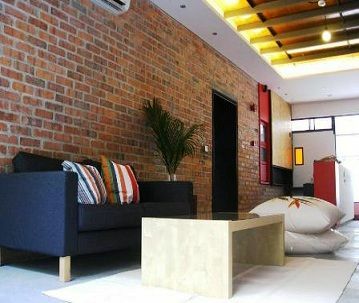 Backpackers can expect exceptionally clean, comfortable beds and rooms; and great customer service from a young, passionate team with insider knowledge of local food, customs and hideouts.Please note regarding PASSPORTS:Only guests with valid passports or Malaysian I.C.s will be allowed to check in. We reserve the right to turn away people without valid documents.We have been reviewed as having the best beds in all of Asia! Designed with privacy in mind, each of our beds comes equipped with personal compartments, attached bedside lamps, a power outlet and fold-away desks. Blankets are provided. 6 & 8 Bed Mixed DormsIdeal for the independent traveller. 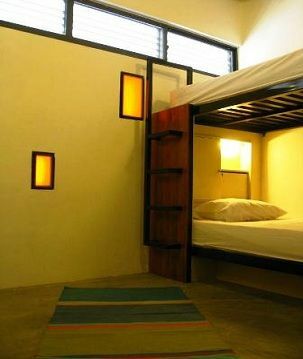 Dorm contains three or four sets of double-decked beds, a washbasin and spacious built-in travellers’ storage. FROM KLIA via:1) KLIA Express:Take the train from KLIA to the KL Sentral Station. From there, take a taxi. Details below. 2) Airport Bus:Take the Star Shuttle to Puduraya Terminal. Walk from Terminal. Details below.3) Airport Limo: Details below.FROM LOW COST CARRIER TERMINAL (LCCT) via: 1) SKYBUS:Bus takes you to KL Sentral Station. From KL Sentral, take a taxi. More details below. 2) Taxi:Details below.FROM KL SENTRAL STATION via: 1) LRT:Take the Kelana Jaya Line towards Masjid Jamek station. BackHome is 5mins walk away. More details below.2) Taxi: Details below. 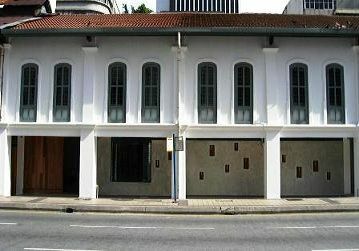 Walking / Taxi:*Important: When walking or taking a taxi to Backhome, please note that we are at the top end of Jalan Tun HS Lee, closer to Jalan Gereja and Museum Telekom. From Masjid Jamek Station:Exit the station and walk along Jalan Tun Perak Make sure you are on the same side as McDonald’s. Walk past Guardian Pharmacy and then turn into the 2nd street. On your left will be Jalan Tun HS Lee. You will recognize our white-washed walls and red banners.From Puduraya Bus Station:Exit Puduraya and walk towards Maybank Tower.Keep to the right-side of this main road (Jalan Tun Perak). Take the 3rd road on the right, onto Jalan Tun HS Lee. You will recognize our white-washed walls and red banners.